It has just been announced that Rogers Hometown Hockey will be kicking off this season’s tour on October 7th and 8th in Niagara Falls. 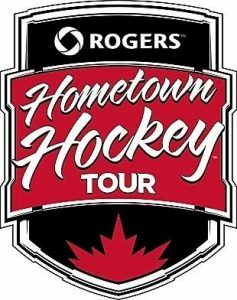 Hockey is Canada’s national pastime and Rogers Hometown Hockey is a special road trip that will be making stops in great cities and towns all across the country. The tour will be bringing amazing stories and experiences to hockey loving Canadians and will celebrate the ways that this sport connects us. You can join Ron Maclean and Tara Slone in your hometown on Saturdays and Sundays for an exciting hockey festival featuring a range of free family-friendly activities, alumni appearances, awesome giveaways, and much more. And on Sundays you can catch a live broadcast with Ron and Tara and show your support by cheering on your favourite NHL team. When Rogers Hometown Hockey is in Niagara Falls the live broadcast on Sunday October 8th will be Montreal at NY Rangers at 6:30pm, which is sure to be an unforgettable time. And because Niagara Falls is the very first stop of Hometown Hockey’s fourth season, you can expect thrilling experiences that will tap into the heritage, culture, and fabric of hockey in Canada. Don’t miss out on this season-long journey that explores and celebrates how hockey unites all Canadians, and come out on October 7th and 8th to the magnificent Niagara Falls.